In the spring of 2018, the municipality of Kranj, that is gradually renewing its spatial data records, entrusted the Geavis with the production of new digital orthophoto plans for the northern part of the municipality. It was a territory of the Britof, Predoslje, Kokrica and Mlaka settlements. 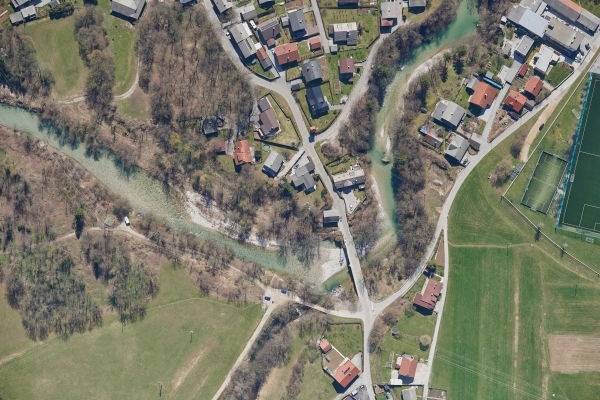 The Kranj municipality is situated in the area with flight restrictions in place for unmanned aircraft. For this reason, aerial photos of the site were taken by Aerovizija, a company licensed for aerial recording with a manned aircraft and at higher altitudes over built-up areas. In collaboration with Aerovizija, we obtained aerial photos of the entire planned territory during only one day. 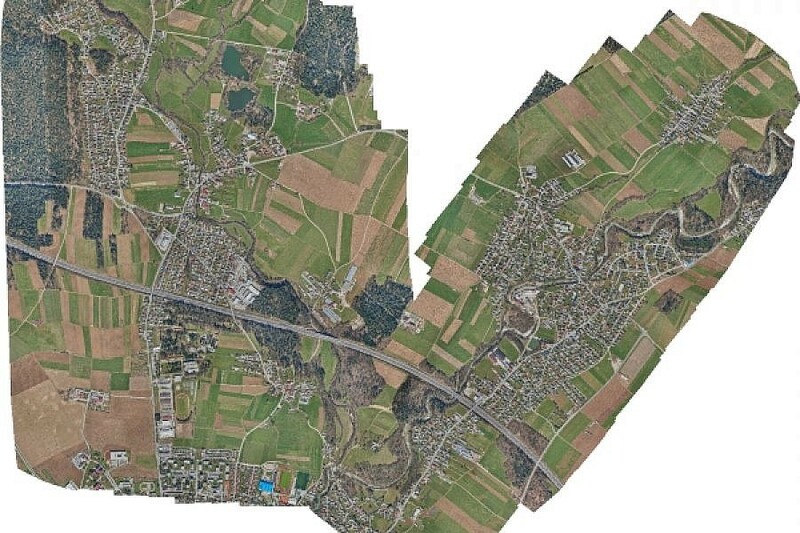 We achieved aerial photos with 5 cm/px resolution and 70% forward and lateral overlap between photos. 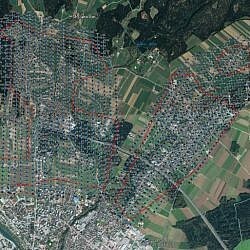 Through georeferencing, the aerial photos were then properly orientated and placed within the National Coordinate System. 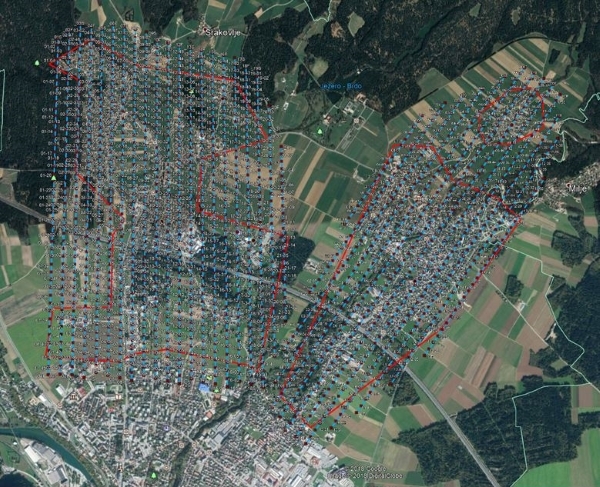 For georeferencing, we used 28 ground control points from the geodetic reference network obtained through GNSS measurements. 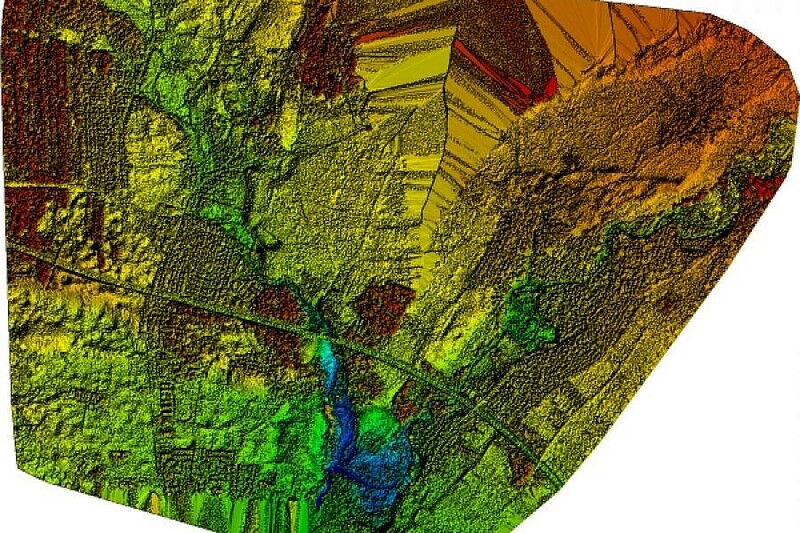 After processing stereo pairs of aerial photos by means of photogrammetric procedures of image matching, we created a 3D point cloud. 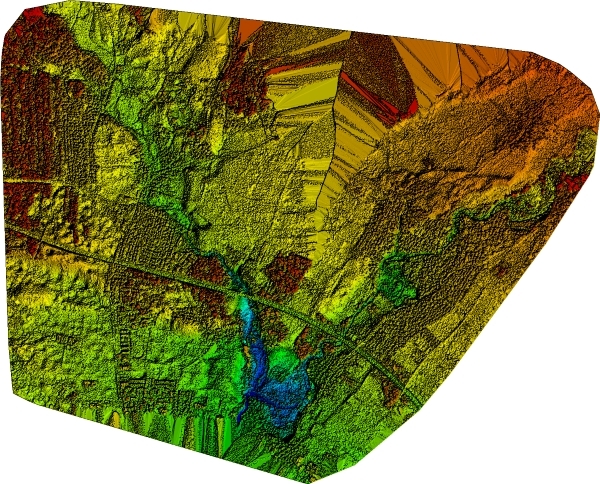 The professional technology of point cloud density enabled us to make a highly detailed digital surface model (DSM), from which we were able to create a true orthophoto, where the objects located above the site are depicted spatially correctly. Among other things, this means that no building is blocking the view of the terrain at its base, no matter how high. 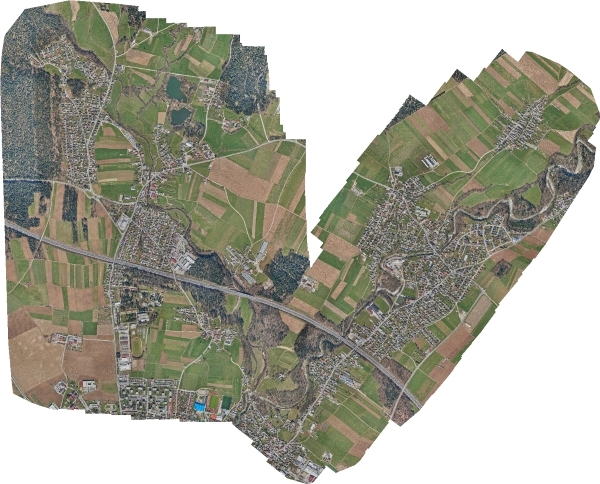 The new orthophoto plan is of better quality and higher resolution in comparison with the existing material of the Kranj municipality; namely, the old orthophoto plan resolution was 10 cm/px, while the new one is 5 cm/px. The improved resolution makes it easier to identify details directly from photos and saves us multiple on-site visits that were necessary in the past when images were of lower quality and needed checking things on the spot. Moreover. 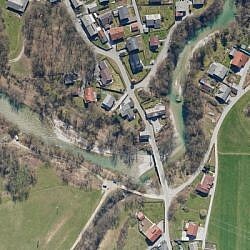 It brings the municipality numerous other benefits as they can use it to conduct planimetric measurements, place various vector layers on it (e.g. 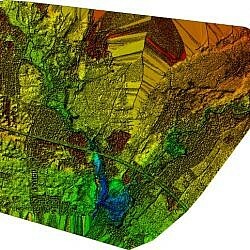 municipal lines) or to cover 3D models, for example.